Editor's Note: This is a press release from SUNY Cortland. 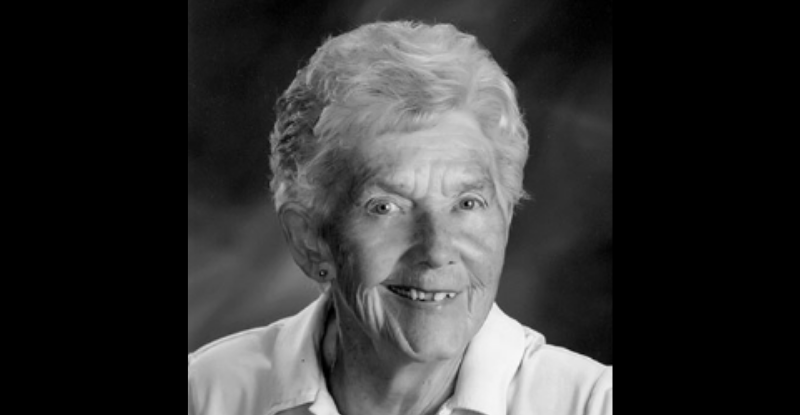 Beulah “Buff” Wang, SUNY Cortland’s women’s volleyball coach from 1968-72 and a 2009 Cortland Athletics C-Club Hall of Fame honorary inductee, passed away on Jan. 18, 2019 at age 89. Wang taught at Cortland from 1962-96 and was an emerita lecturer from 1996 until her retirement in 1998. She was the architect of Cortland’s women’s volleyball program in the late 1960s during the nascent days of intercollegiate athletic competition for SUNY Cortland females. The program won two New York State titles during her tenure. Prior to joining the SUNY Cortland faculty, Wang taught for 12 years at the American Kiz Kolej (American Girls’ School) in Izmir, Turkey. The principal of the high school section of the school, she taught physical education at all levels and coached volleyball, basketball, track and field, tennis and table tennis in an eight-member intra-city league there. Wang served on the Volleyball Sports Committee of the newly formed New York State Association of Intercollegiate Athletics for Women (NYSAIAW), the precursor to the national AIAW and the first step toward varsity sports programs for women. An active volleyball official, she gained prominence with her national rating. She worked with officials’ organizations and conducted many statewide clinics. In addition to her teaching and coaching responsibilities at Cortland, she served as site coordinator for the New York State Senior Games in Cortland from 1986-96 before they moved to Syracuse. She then worked closely with John Doherty, the director of the Senior Games, when they returned to Cortland in 2001. She was a member of the College's International Programs committee, and in 1970 was faculty supervisor to Cortland's first physical education "semester abroad" students attending the Sport Hoch Schule in Cologne, Germany. Wang also served as the building administrator for Cortland's Bessie L. Park 1901 Physical Education and Recreation Center. In 1980, Wang accepted an appointment with the United States Sports Academy and later the Bahraini government to travel to Bahrain and conduct fitness testing of schoolgirls in that Middle Eastern nation. While there, she also conducted aerobic fitness programs for Bahraini women and developed a swimming program for women and children. Literally hundreds of women participated in the program, which took them through a progression of three levels of swimming competency and began preparing the graduates to become swimming instructors. When Wang returned to SUNY Cortland, the Bahrain government sent six of the women from the program to Cortland for advanced Life Saving and swimming skills instruction. Wang served on the planning committee for the Cortland C-Club’s “Blue Tunics and White Sneakers” event in 2006 that celebrated Cortland’s Pre-Title IX female athletes. A native of Faribault, Minn., Wang (pronounced Wong) earned a bachelor’s degree from Minnesota State University at Mankato, master’s degrees from Iowa State University and SUNY Binghamton, and her doctorate from the University of North Carolina at Greensboro.